Fully mobile and self contained, the Rapidmix400CW offers a complete plant powered by its own power source, with on-board compressor and generator. Fitted with a self erecting system, using hydraulics, the plant can change from travel mode to fully operational within a few hours. 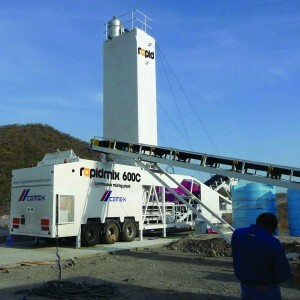 The Rapidmix 400 CW mixes up to 400 Tonnes per hour depending on application and provides feed rates that are fully adjustable for the aggregate, cement and water systems. Established in 1969, Northern Ireland based Rapid International manufacturers high quality machinery to the concrete, construction and environmental sectors. 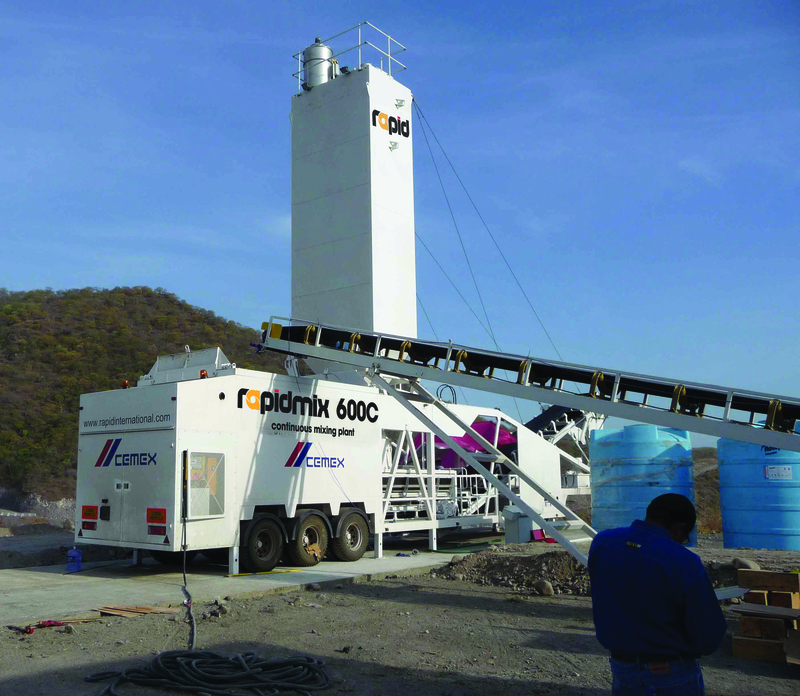 With a presence in over 20 countries the company offer pan, planetary and twin-shaft mixers, as well mobile batching plants, mobile continuous mixing plants, bespoke concrete plants and cement silos. Based in Coventry DUO plc provide a comprehensive package of solutions for the ‘Quarrying, Aggregate Recycling & Handling Industries’. DUO are dealers in both the UK and Africa for some of the industry’s leading manufacturers and are able to offer everything from individual plant to bespoke design turnkey solutions for washing, screening, crushing and aggregate recycling equipment.